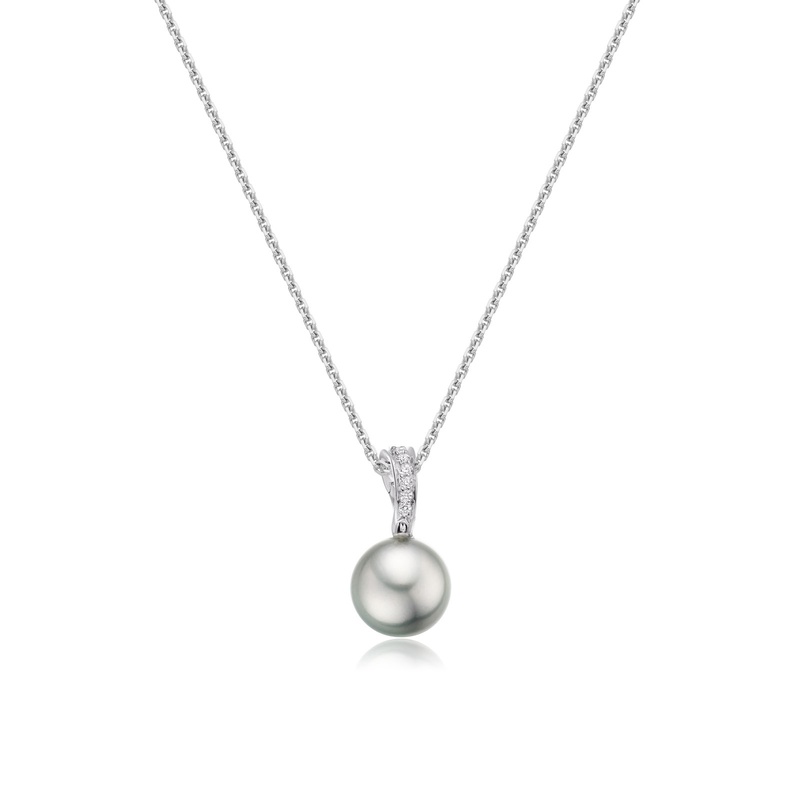 A luxury pearl pendant featuring a silver Tahitian pearl, mounted below a sparkling curve of diamonds and finished with a diamond cut 18 carat white gold chain. 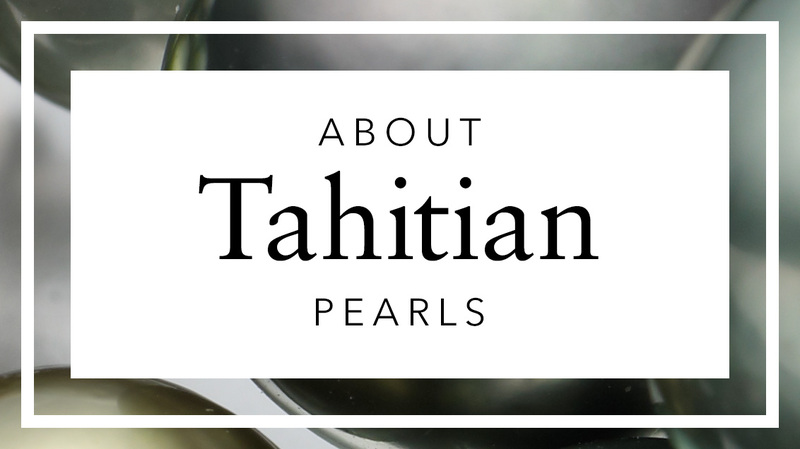 The silver or light grey tones of this round Tahitian pearl are natural, being produced without treatment for colour, and are perfectly versatile for daytime and evening wear. Some pearls may additionally have lovely overtones of light green, pink or blue. 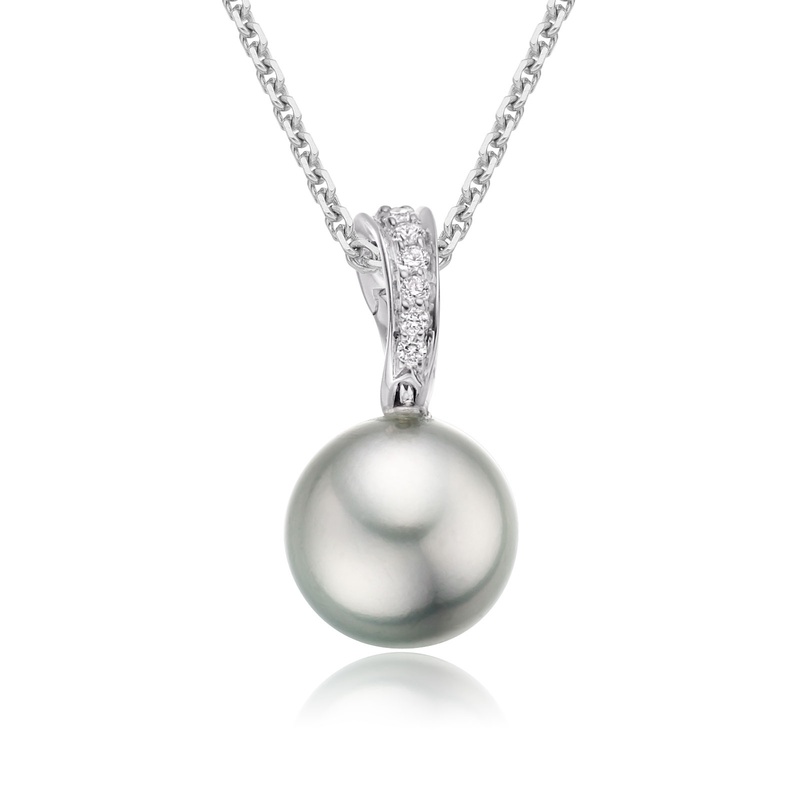 The round pearl that has been hand selected for this pendant measures 11-11.5mm diameter and has an excellent lustre. The pendant is approximately 2.5cm in drop length, with a 0.2 carat curve of brilliant diamonds set in 18 carat white gold. 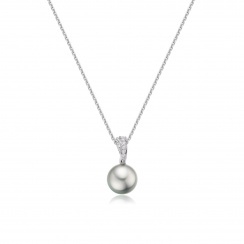 The chain for the pendant is a glittering diamond cut 18 carat white gold chain, measuring 45cm in length with an extender ring set in the chain at 42cm to allow the pendant to be worn slightly higher on the neckline, depending on the style and outfit of the day. If you would prefer a longer gold chain to match this pendant, please do contact us and we would be pleased to help.